Sharpen your lip pencil. Its always important to have a sharp lip pencil to get crisp lines. 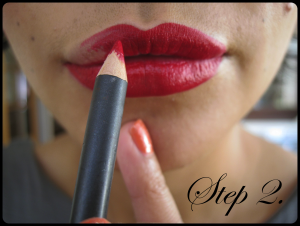 Fill in your entire lips with the lip pencil, starting at the centre and working your way to the outer corner. This will make it a lot easier to get an even outer line. 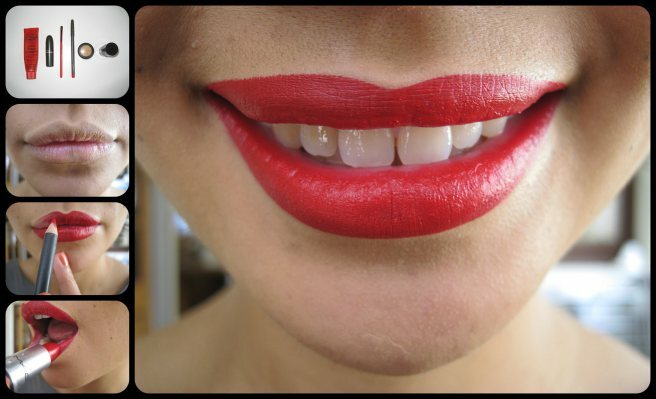 Filling in your entire lips with liner also helps your lipstick last longer. 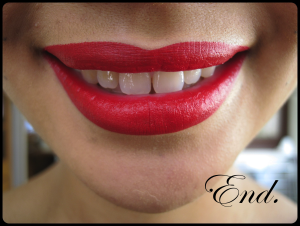 If you have used lipliner all over its easy to go directly in with your lipstick. 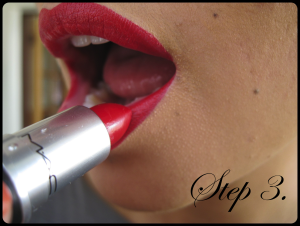 Or if your lipstick and lipliner are not close in colour, or you just want to use lipstick and no lipliner, apply your lipstick with a brush. 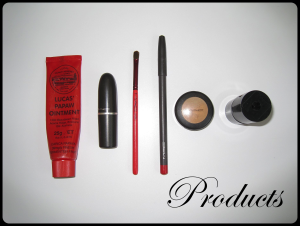 Synthetic is best to use for lipstick as it applies smoothly and doesn’t soak up to much product. Blend in your lipstick with your lipliner. If you find your lips look a little uneven after everything, use cotton tips to clean up any edges, even add some extra concealer with an angel brush and outline again with your lipliner, or your lip brush.